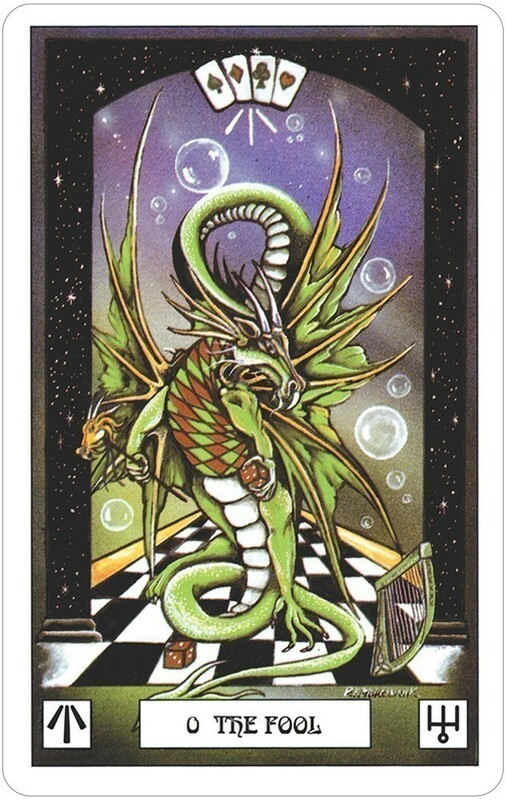 Dragon Tarot draws upon the rich imagery of dragons in all their historical and mythological sources. Thus the Dragon Tarot represents the fulfillment of centuries of research into the mystic symbolism of dragons throughout the world. This radiant deck brings together the magic and myth from cultures as diverse as ancient Babylon, Egypt, and China, to the legends of King Arthur, St. George, and Siegfried. Following traditional tarot symbolism, the Dragon Tarot leads the journey into the realms of imagination and self-discovery. Peter Pracownik is the forefront of the Visionary Art Movement. He created the artwork for the Imperial Dragon Oracle, The Hobbit Tarot, The Lord of the Rings Tarot & Card Game, and Woodland Wisdom Oracle Cards, all published by U.S. Games Systems, Inc. Imperial Dragon Oracle won a 2010 COVR award. 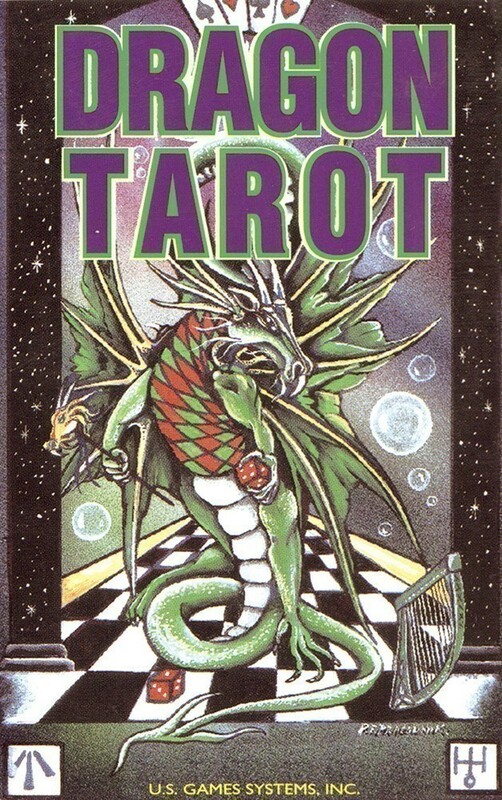 Terry Donaldson is the author of several books on tarot including the The Dragon Tarot and The Lord of the Rings Tarot. 78 cards, 2.75" x 4.375"
When I first became interested in reading the tarot, the one thing that I had a problem with was finding a deck that suited my feelings and represented ME. Then one day I stumbled upon the Dragon deck, and I felt like my prayers had been answered! The artwork and symbolism, combined with the rich history, myth, and mystique that surrounds dragons in general, turned out to be just what the doctor ordered. The use of many rich colors was something that I felt, at that point in time, many other decks didn't seem to have (although now I know otherwise). But, my absolute favorite part about this deck are the Major Arcana. They were (and still are) like nothing I had ever seen before. The capture all the symbolism of traditional tarot decks, but they also contain a draconic twist that is sometimes a bit funny (in particular, the Hanging Dragon card!). 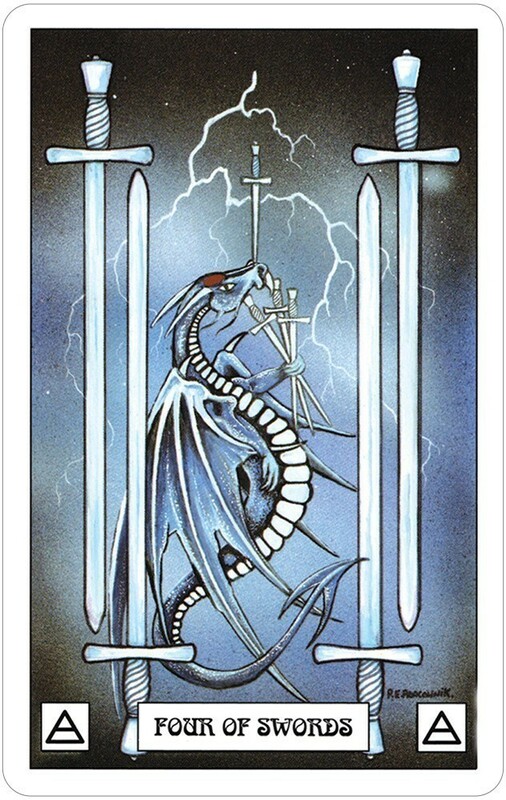 All in all, the Dragon Tarot was the first deck I ever owned, and it remains my favorite to this day. I highly suggest this deck to anyone who doesn't feel connected to the more traditional decks, and longs for something deeper. It is very hard to put into words all that I feel with this deck, so you may be better off experiencing its power for yourself, but believe me, you won't regret it! 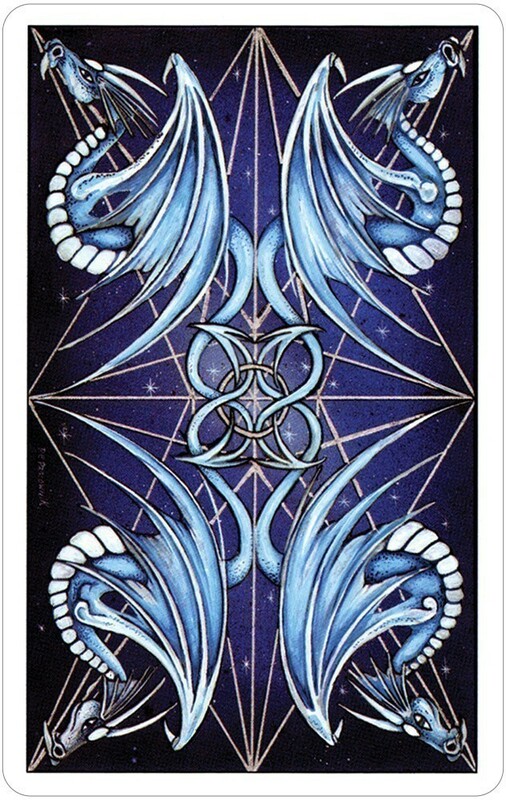 Again, I have seen many decks in my days, but none of them compares to the power and imagery of the Dragon Tarot! I absolutely LOVE this deck. The images are beautiful and powerful and readings are very accurate for me. A friend of mine did one reading with my cards and has decided he wants a deck of his own. It is a very strong deck, but "welcoming," almost like coming home. If you like dragons, you will most likely connect with this deck and may keep it as your personal deck. Gorgeous artwork! This is the kind of deck that speaks to anyone with a love for dragons and dragon lore. I fell in love with it when it first came out, and I haven't used another Tarot deck since. I just received this deck and already love it! The dragons are most elegant, intelligent, powerful but not *terrifying*! 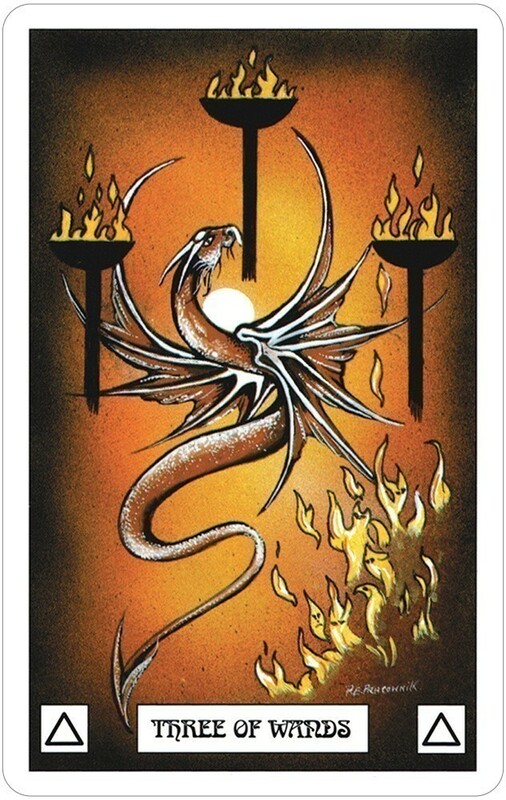 The combination of dragons and Tarot symbolism may not always be clear for Tarot beginners, but Tarot folks who have a little imagination and love dragons will delight in this deck, and they will come to understand and value its unique messages. I did not care for the Celtic Dragon deck, think it's a bit sappy. By contrast, Pracownik's work has sophistication and edge, and the dragons are just simply gorgeous. 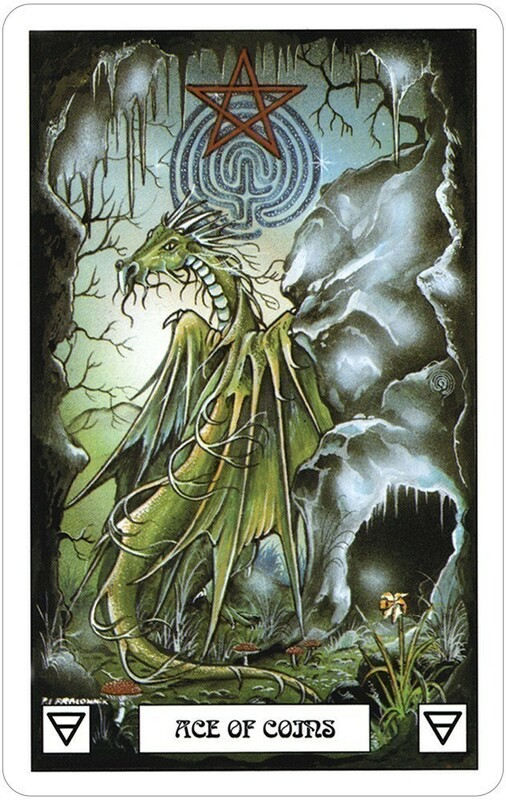 The Dragon Tarot follows the now traditional path of a 78 card deck. Each card is individually illustrated with dragons and adheres loosely to the Rider Waite deck for its' imagery. So what's it like to use the Dragon Tarot? I love it!!!! Colorful, charming, quirky but full of dragon fun and humor. Both the reader and querent will enjoy the use of this deck. The dragon appeals to all with the mystery and beauty. 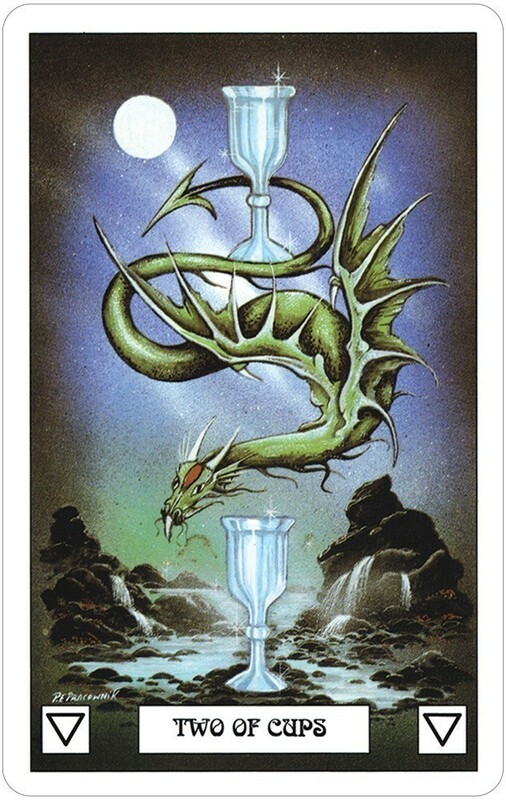 I feel the Dragon Tarot takes us back to a more innocent time. A time perhaps of legend, when man and dragon shared this world. 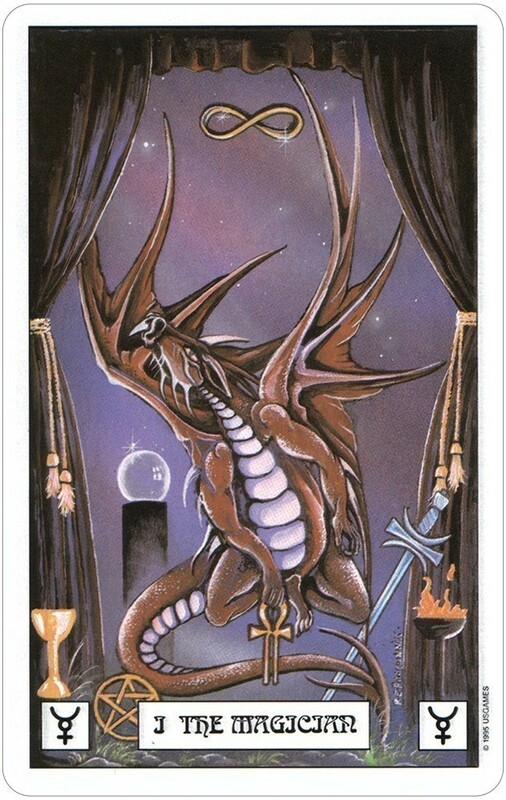 You decide when you take up the challenge of the Dragon Tarot.